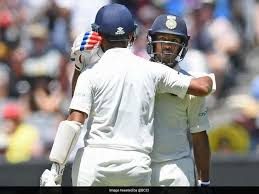 Home Mayank Agarwal & pujara Live Cricket Score, India vs Australia, 3rd Test, Day 1:- Mayank & Pujara stand drives India forward ! Live Cricket Score, India vs Australia, 3rd Test, Day 1:- Mayank & Pujara stand drives India forward ! Live Cricket Score, India vs Australia 3rd Test Match Catch All the Updates on IND vs AUS Live Match Ball by Ball Commentary from Melbourne Cricket Ground at India TV Sports.